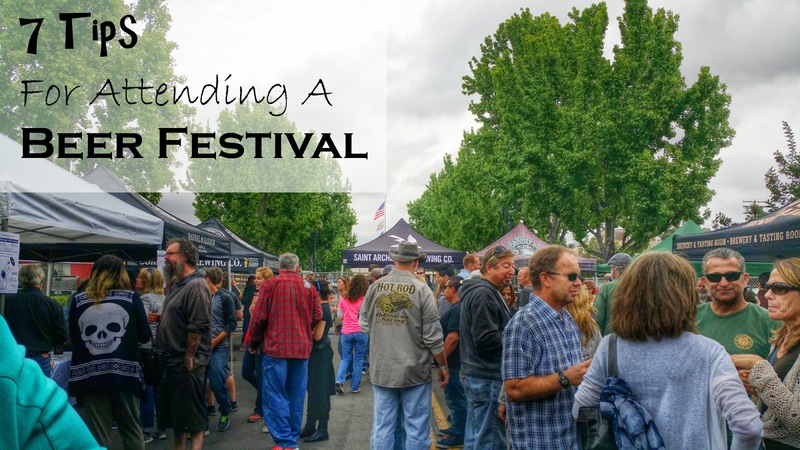 Living in San Diego we have so many beer festivals since we have more than 100 craft breweries! With that in mind I have become excellent at knowing how to do a beer festival. As with any festival that provides alcohol you need to think about a few things before you go. If you follow these tips you will enjoy your beer fest more and survive the morning after! 1. Always eat before you go. I know the festival website might say it will have free food but trust me it might not be all that. It is always good to have some food in you before you start drinking anyway! 2. You do not have to drink everything you are poured. If you like the beer, go ahead and drink it but if you do not, it's OK to pour it out. Why drink something you do not like that will only add to your insobriety. 3. Going along with number 2, beer fests will give you a glass of some sort. It may not be big but it still might hold a few or more ounces. Feel free to tell the pourer you want just a taste. This will help you out in case you do not like it and with a 100 beers that you might be tasting you don't want to be sloshed too quickly. 4. Make yourself a pretzel necklace. Take some yarn, ribbon, whatever and thread it thru the pretzels that way you have something to cleanse your palette as you try different beers. This will also help you stay more sober. 5. Bring some antibacterial sanitizer with you. You will be passing your cup and back and forth and you don't know what someone has touched before you. Also, you will most likely be using a port-a-potty if you have to go to the bathroom and will need something to clean your hands with if the water and soap run out! 6. Wear sunscreen because you will probably be in full sun for a couple hours. Remember, even when it is cloudy you can still get a lot of sun so bring a hat and sunglasses as well. 7. Most importantly take a cab, Lyft, or Uber home. Please to not drink and drive! All beer festivals will also have a free or discounted entry rate for designated drivers. Some festivals will also have special discounts already set up with a cab company. If you have to drive home plan on going into your car and taking a couple hour nap till you are sober again. PLEASE, PLEASE DO NOT DRINK AND DRIVE! 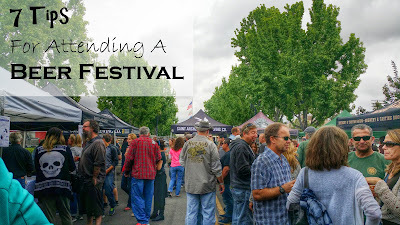 Hopefully these 7 tips can help you navigate a beer festival well for your enjoyment! As my family would say Na Zdrowie!